The LeMetric Hair Design Studio / Hair / Do you need help with your hair? Do you need help with your hair? 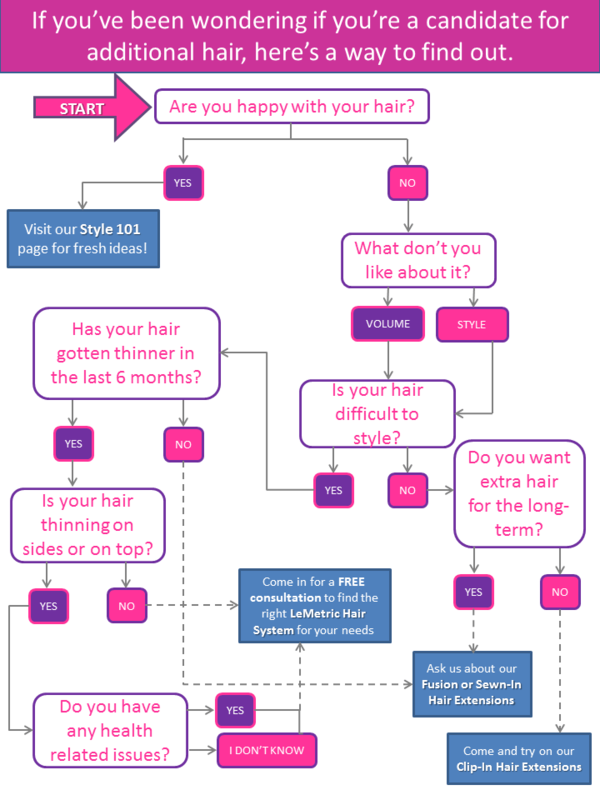 If you’re unhappy with your hair, but you’re not sure if you need added hair or not, try out this flow chart we created to make it easier for you to determine if you’ll need a consultation with us or not. If it turns out you need a hair consultation, just call us at 212-986-5620 – and did we mention, the consult is free!